Businesses in Ballater have been buoyed by a feeling of optimism after seeing the reopening of a number of premises which were hit by floods in December last year. A number of shops and offices in the Bridge Street area are back in action again which is helping to restore the feel-good factor in the centre of the village. 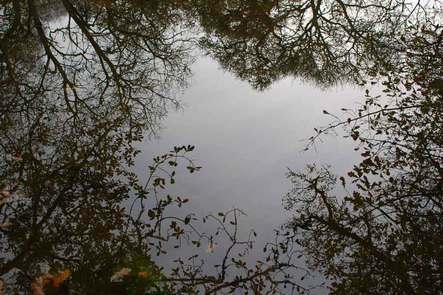 “The way in which Ballater picked itself up to move forward after the serious and devastating consequences of Storm Frank has been quite remarkable. “People have shown reliance, grit and determination to move forward. This can-do attitude has been inspiring. “What’s been particularly worthy of mention has been the strong pulling together of the local community. That sense of support has been very evident and I am sure it will remain as the village continues to repair and heal from the worst floods in living memory. The sense of support and co-operation can be illustrated by two hair salons working together after the flooding forced the closure of one of the premises. After its Bridge Street salon was flooded, D’Tangled moved in to join the Hair Loft at Netherley Place. The arrangement worked so well that the temporary set up has been made permanent and both businesses will continue to trade under the one roof. The former salon has now been converted into Deeside Design Studio (pictured), with Ian Rodger Architects in Aberdeen opening its first regional branch in Ballater. Joining associate Sarah Russell in operating from the office is quantity surveyor David Cobban who works for McCue and Porter in Aberdeen. 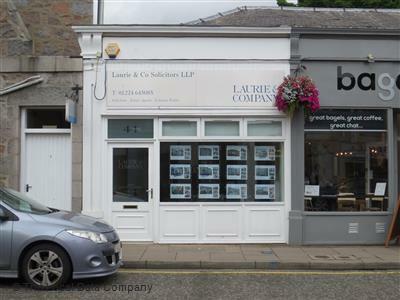 When Laurie & Co reopened its refurbished Ballater solicitor’s office, it expanded its workforce, welcoming a new associate solicitor to its team. Messages of support received from all over the world were a real source of encouragement to Neil and Davinia Massie after Rock Salt and Snails in Ballater suffered extensive flood damage. The popular café is back in action and is looking forward to a busy summer season, welcoming back locals and visitors alike. Fellow café owner Karen Gerrie of Brown Sugar Café has also been able to reopen her business, improving access for disabled customers during the refit. Ballater Golf Course was back on course just three months after Storm Frank caused substantial damage when thanks to the help of volunteers, members of staff and employees of an oil company, the full 18 holes were reopened. Months of hard work saw the Ballater Caravan Park official relaunched with the touring site substantially upgraded, including an upgraded toilet block and new play park. Mr Watts says there are lots of good examples of how progress has been made, and believes that the business association can continue to benefit from the collaborative working seen since the floods. Ballater’s back on the map – that’s the bold statement from accommodation providers in the Deeside village as the area continues to bounce back from flooding and rolls out the welcome mat to summer visitors. Ballater’s hospitality trade is in positive mood as they welcome the return of seasonal visitors choosing the village as their holiday base. 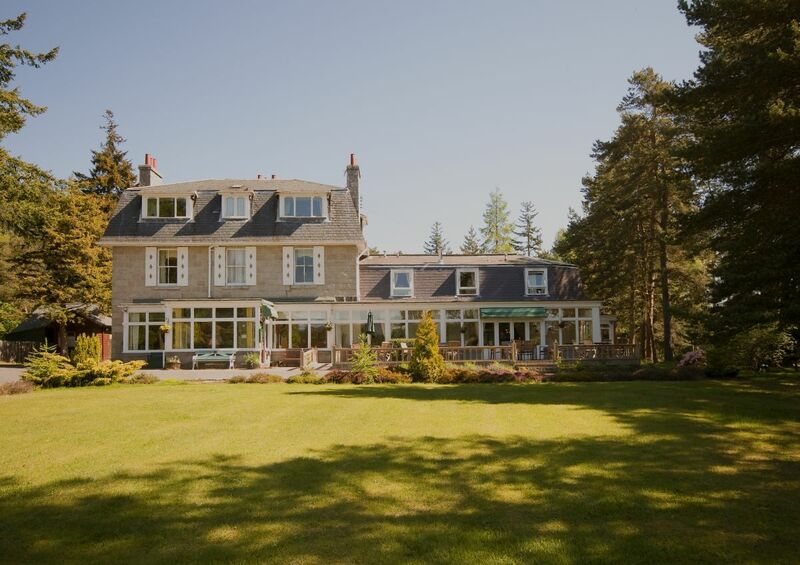 In the past couple of months, the Glen Lui Hotel has welcomed parties of fishermen, golfers and an American shooting party – and staff look forward to seeing yet more visitors to Ballater, attracted by its great range of outdoor activities, while being within easy reach of Aberdeen and the city’s attractions. “The village is coming to life again and I think there is a feeling of anticipation as everything is getting busier. “Shops are looking better and there’s only a few yet to reopen. We’re looking forward to Ballater Victoria Week, Ballater Games and Etape Royale and then our big winter festival which will feature an ice rink and reindeer and these will all result in a lot of activity in the area. “There are people milling around at the monthly farmers markets too. Ballater has suffered its setbacks with the floods and the fire at the Victoria Station but now everyone wants to push Ballater as much as possible. 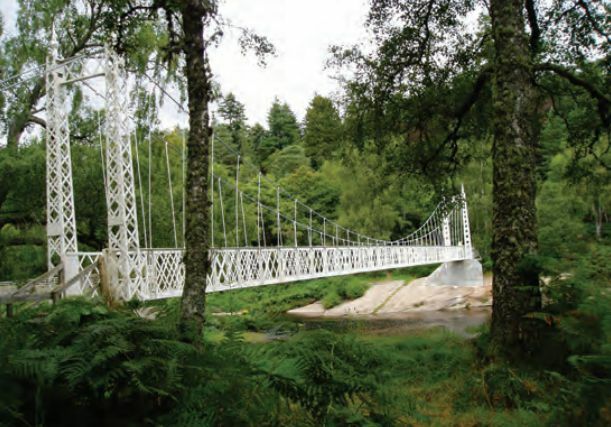 Deeside, with its natural beauty and its close connections to the Royal family who arrive at Balmoral Castle for their annual break in August, has long been a favoured destination with visitors. Alan McCorquodale of the Alexandra Hotel says that Ballater makes a great base for exploring the wider area. “There are rays of hope all around the village as businesses are refurbished and reopening and community events that will help draw visitors to the area are being planned. “Great progress has been made and there’s a real push on now to show that Ballater is moving forwards in the right direction. “In a relatively short time, Ballater has come a long way in overcoming the challenges and hurdles that Storm Frank brought in its wake. Richard Watts, chairman of Ballater Business Association said that the village is fortunate to boast a great range of bed and breakfast establishments, caravan park open for tourers and campers, guest houses and hotels and that all are well prepared for the school holidays and visitor market. Residents of a Deeside community are being called on to have sandbags at the ready – for a fun stunt designed to put a smile on faces as it prepares for its annual summer extravaganza. Hundreds of sandbags were filled and put to use to try and defend Ballater from Storm Frank and the deluge it brought to the Deeside area in December last year. Now with the floods firmly behind them, organisers of Ballater Victoria Week have come up with a tongue-in-cheek competition which they hope will raise a few smiles. They are appealing to villagers to decorate leftover sandbags and share photos of their creations on social media. As well as injecting a bit of humour, the novel competition points to how the community has galvanised and moved on following the flooding. 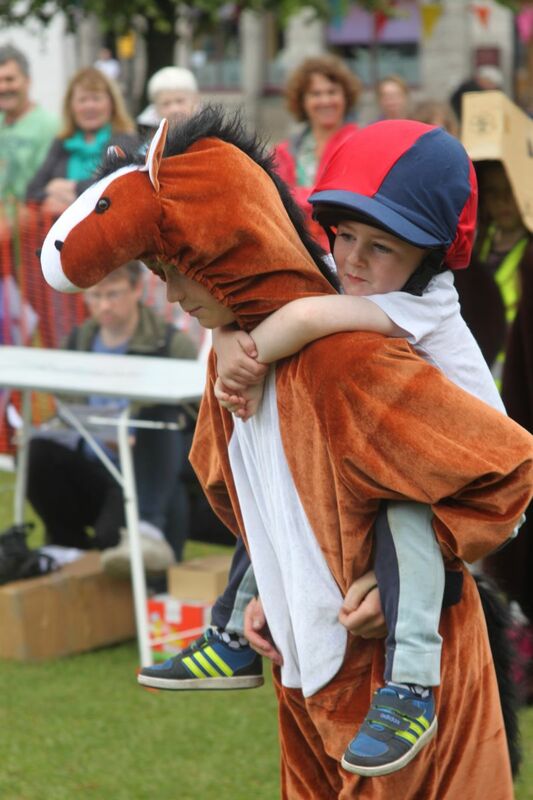 The most liked picture on Facebook will be judged winner of best decorated sandbag – earning its owner £50. 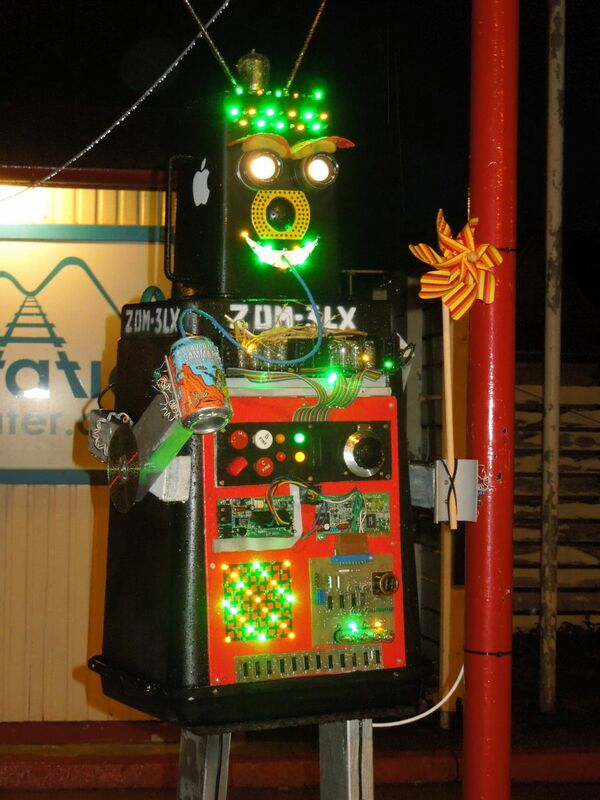 “Just for fun we are inviting people to decorate a sandbag,” said Ade Scipps of the Ballater Victoria Week committee. Ballater Victoria Week takes place from August 5-14 with its biggest programme to date. As well as established favourites, like the vehicle parade and Sunday fayre, duck race, scarecrow trail, pantomime horse trials, ghost tours, films, quizzes, sports and music there are a few new events are in the offing too, like a Rio 2016 Onesie Party when villagers are encouraged to get into party mode by gathering together to watch the opening ceremony on a big screen in the V&A Halls and the ‘Weel Kirkit’ heritage walks led by a professional story teller. Over the years Victoria Week has raised thousands of pounds for local causes and continually seeks to renew and refresh itself by reflecting current trends and initiatives. It offers another chance for the community of Ballater to celebrate and enjoy some fun after the floods gave the area the most challenging start to the year. With its close connections to Balmoral Castle, the Royal Family’s summer home, Ballater pulled out all the stops to mark the Queen’s 90th birthday earlier in June when hundreds of people of all aged gathered for the Happy Birthday Ma’am street party. Organisers of Ballater Victoria Week hope to see the same show of community spirit with another well-earned opportunity for villagers to have fun and let their hair down. The annual party week has gone from strength to strength since its inception in 1987 to commemorate the 150th anniversary of Queen Victoria’s accession, raising thousands of pounds for local charities along the way. Among the highlights of the 10 day extravaganza is Ballater Highland Games which takes place on Thursday, August 11 and includes sports, hill race, Highland dancing and much more. With Ballater Victoria Week enjoyed by both local residents and visitors alike, Richard Watts, chair of the Ballater Business Association is pleased to see it develop and grow in 2016. “The resilience and determination to get over the floods has been quite remarkable and everyone is keen to get over the message that Ballater is back on its feet and is very much open for business,” says Mr Watts. Balmoral Castle remains a favourite summer retreat for the Royal Family, and Ballater is often referred to as the ‘Royal Warrant Town’, due to the large number of businesses that hold the prestigious mark of recognition to those who supply goods or services to the Households of HM The Queen, HRH The Duke of Edinburgh or HRH The Prince of Wales. Deeside Design Studio has opened in Ballater after the flooding provided the opportunity of office space in the centre of the village. The flooding of Ballater provided an unexpected opportunity for an Aberdeen architectural practice to open its first regional branch. 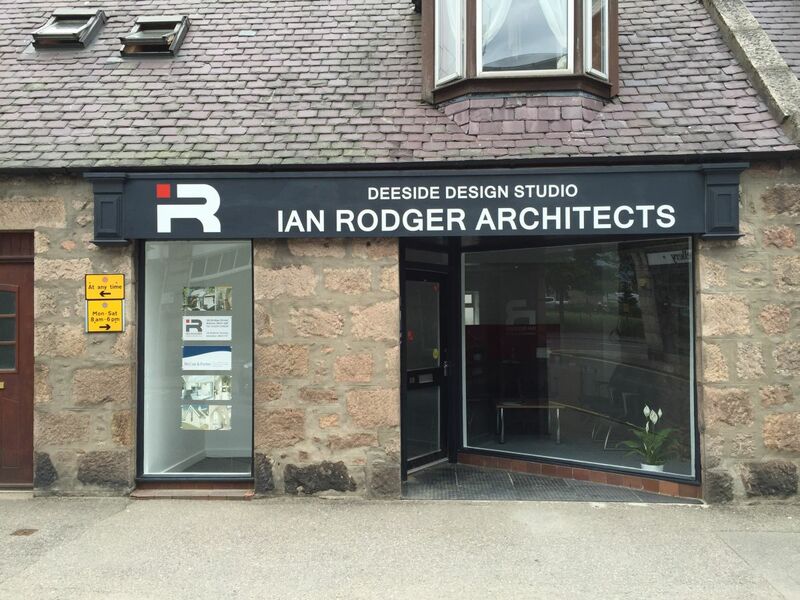 Last December’s floods served as a catalyst for Ian Rodger Architects to act on plans to set up a Ballater office and press ahead with investing in the area. When an ideal site in the heart of the village became available, the business took action and it has now opened an office to serve clients in the Deeside area. Its new premises at 28 Bridge Street, which were damaged during the flooding, have undergone complete refurbishment and Deeside Design Studio opened last week. It is staffed by Ian Rodger Architects’ associate Sarah Russell who lives in the village, and who previously commuted daily to the Aberdeen practice. It’s also being used by quantity surveyor David Cobban who lives in Ballater and works for McCue and Porter in Aberdeen. Ian Rodger, owner of Ian Rodger Architects has praised the local community for the warm welcome villagers have shown and looks forward to seeing the Deeside office develop and grow. “Ballater is a lovely place and local people have been very positive and helpful during the refurbishment works and now that the office is open. It’s early days and the new office has strong links to our Aberdeen practice, but it is our hope to see it develop and grow over time. “It was always part of our plan to open an office in Ballater. When this premises came up we were able to work with the previous occupant – who relocated due to the flooding – to have the lease reassigned, and a change of use granted. “We have spent considerable time and money to have the property repaired and enhanced, recognising how important it is to Ballater that Bridge Street gets back into working order as soon as possible. “We wish to extend the invitation for anyone affected by the flooding and requiring any building advice to drop into our office at any time. More than that, we have good experience in all types of building projects, and are happy to take on any scale of project in Deeside. “It’s noticeable that there is a strong community spirit in Ballater, and we look forward to expanding our Deeside workload as part of its business community. To build links with the community, Deeside Design Studio has sponsored the Highland dancing competition at Ballater Highland Games in August and will be joining Ballater Business Association. The previous occupant of 28 Bridge Street was hairdressing salon D’Tangled, which is now sharing premises with The Hair Loft. Richard Watts, chairman of Ballater Business Association, says that attracting new business investment in Ballater is a real positive step and another sign of optimism. “We welcome the opening of Deeside Design Studio and look forward to the firm becoming a valued part of our business community. I am sure it will gain benefits from being part of our forum and the opportunities this provides through promoting communication between local businesses and the exchanging of ideas. An Aberdeenshire solicitor’s office affected by flooding is set to reopen next week and has expanded its workforce in the process. The Ballater branch of Laurie & Co was badly hit by floods in the aftermath of Storm Frank last December, but the newly renovated office is on track to open next week, with only the carpets and furniture left to be fitted. Laurie & Co has used the opportunity to welcome a new associate solicitor to its team at the Ballater office, expanding its workforce to three full-time and one part-time member of staff. The recent repair work on the office has also allowed the firm to create an additional office for its new member of staff. The Aberdeen-based solicitors first opened a branch in Ballater five years ago, after taking over from Gray and Kellas. Since then, the Bridge Street office has built up a strong client base in the village by offering a wide range of legal advice and services. The team has been operating out of its Aberdeen headquarters for the past five months and regularly stay in touch with clients via phone calls and emails. Directly after the floods, Alan Nicoll, a partner at Laurie & Co, held workshops providing legal advice for residents who were facing difficulties claiming insurance. Laurie & Co also provided insurance information for those affected by the floods on its website. The webpage is still active and offers practical advice and a step-by-step guide on what to do after you’ve been affected by flooding in regards to insurance. “The floods were obviously a really distressing time for everyone involved, but the outpouring of support from all over really helped to lift everyone’s spirits. All of us at Laurie & Co wanted to do something to help. I’d heard that some people were struggling with their insurance claims, so that’s when I decided I was going to give residents advice on how to handle their insurance issues. “Most people didn’t know where to start when it came to insurance, which is understandable as it would’ve been the last thing on everyone’s minds. It was a good feeling to be able to help out by offering legal advice, Ballater residents had been through enough without having to worry about their insurance not paying out. My colleagues also helped out by compiling the advice page on the Laurie & Co website, which people are still using to this day. The firm’s staff are now looking forward to seeing their new office and getting back to work in Ballater. Since the beginning of the year, the village has gone from strength to strength and Laurie & Co is one in a long line of businesses which are due to reopen this month or have already reopened. “I am thrilled to hear that Laurie & Co is going to be reopening next week. The expansion of both its workforce and office shows that the firm is looking towards the future. 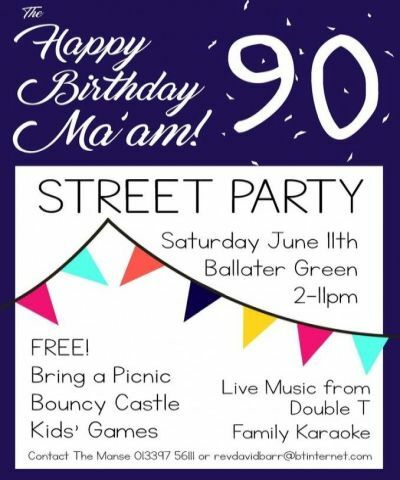 A band of volunteers from the village of Ballater have organised a Royal knees up in the form of the ‘Happy Birthday Ma’am’ street party to celebrate the monarch’s milestone birthday on Saturday, June 11. Being located in the heart of Royal Deeside, organisers will use the Queen’s 90th birthday to continue to build up the community spirit which has been evident in the village since it was affected by flooding last December. Many of these businesses have already reopened or are on track to reopen in the summer, and the ‘Happy Birthday Ma’am’ street party is one in a number of events planned to welcome tourists back to the picturesque village. Both visitors and residents are invited to join in with the celebrations which will see the whole community come together. The free event takes place from 2-11pm on Saturday 11 June at the Churchyard Green in Ballater and will feature live music, a bouncy castle, old-fashioned games, and family karaoke. Funds raised from donations made on the day will go towards those affected by flooding. In honour of the momentous occasion, Ballater resident Lorraine Barr is encouraging people to sponsor a tree in what will be known as ‘The Queen’s Ballater Wood’. Lorraine and those involved wish to leave a legacy which will remind others of the spirit of community in Ballater. The wooded area will feature 90 trees of different varieties known to be favourites of Her Majesty The Queen. Rev David Barr, who is helping to organise the Queen’s birthday street party, says that the event is giving those affected by floods something positive to focus on. “All of the volunteers involved in the planning of the street party were affected by the floods in some way. We all really wanted to give something back to the community which allowed everyone to get together and celebrate what a fantastic place Ballater is. Visitors are more than welcome to join in the celebrations with us on the day, we’re all keen to show people how far we’ve come as a village and that Ballater is on its way back to its full glory. “The Royal family took a great interest in Ballater after the flooding and we received daily encouragement through telephone calls from the palace. It meant a great deal to us all, so the street party is our way of saying thank you to the Queen and also to everyone who reached out to us with messages of support, help and donations. “The support has been absolutely phenomenal and for that we are forever grateful. From individuals to companies, we wouldn’t be where we are today if it wasn’t for the general public. “There’s been a real buzz in the village in the run up to the Queen’s birthday street party. Local businesses have been getting involved by donating goods and money towards the event, whilst all the volunteers involved have done a brilliant job at organising the ‘Happy Birthday Ma’am’ street party. The ‘Happy Birthday Ma’am’ street party takes place from 2-11pm at the Churchyard Green in Ballater. Those attending are encouraged to bring their own picnic. For more information about the street party then contact Rev. David Barr on revdavidbarr@btinternet.com. If you would like to know more about how to sponsor a tree in ‘The Queen’s Ballater Wood’ then contact Lorraine Barr on 01339 756111. A business owner who was forced to close her Ballater café after it was affected by flooding has taken the opportunity to improve access for disabled customers during its refit. Karen Gerrie, owner of the Brown Sugar Café, is working alongside builders to install features that will make it easier for all to access the popular Bridge Street café. It’s a case of turning a negative into a positive, and ensuring that when the flood- hit premises makes its comeback in June, it’s even better than before, with a new disabled toilet and level flooring throughout. Despite the café undergoing a major refit, it will retain many of its familiar features which will be revealed when the premises make their comeback in mid-June. Brown Sugar Café first opened in 2009 and was taken over by Karen in July 2011, since then it’s become a well-known hangout for residents and tourists, best known for its homemade sandwiches, soups and homebakes as well as its cosy atmosphere. Karen stresses that her café and the wider village of Ballater have not been beaten by the floods and that there is lots of positive action to show the area is still open for business. Brown Sugar Café will have two stalls at the Aboyne Rotary Duck Festival on Sunday May 22 when they will be selling gifts and traybakes – including their much-loved millionaire’s shortbread – to remind the public about what they do best. 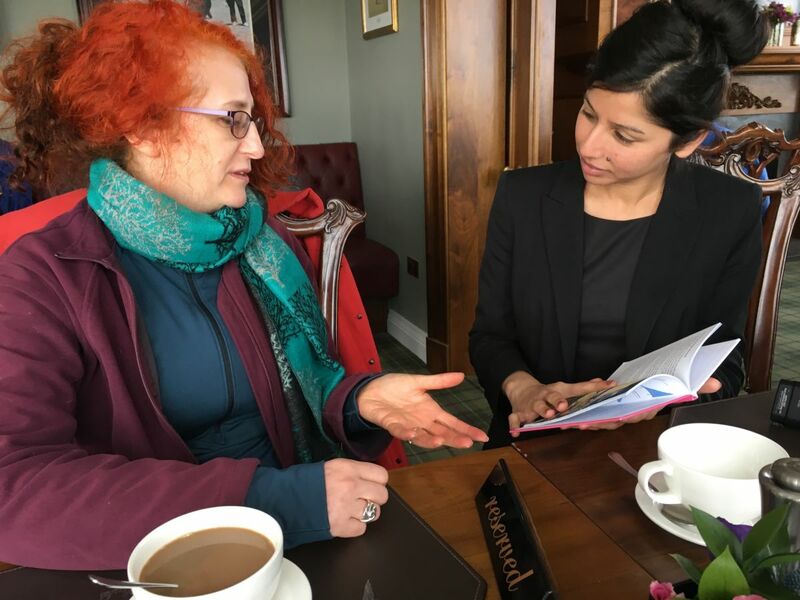 After overcoming the initial shock of having to temporarily close her business, Karen focused her energy on getting the café back up and running and she admits to being overwhelmed by the offers of help that came in from both locals and visitors. “The support we received from far and wide meant a great deal to us, as it was a very dispiriting time. The staff and I all decided that we weren’t going to give in easily, as you can sit around and cry or you can pick yourself up and get on with it. We chose to get stuck in with the work, and that really kept us going. “Since then, we’ve come a very long way and I’m just so thankful to everyone who has got in touch to let us know that we’re in their thoughts. It’s been so exciting watching all the refurbishments going on throughout Ballater and knowing that we’re another business on its way to reopening. 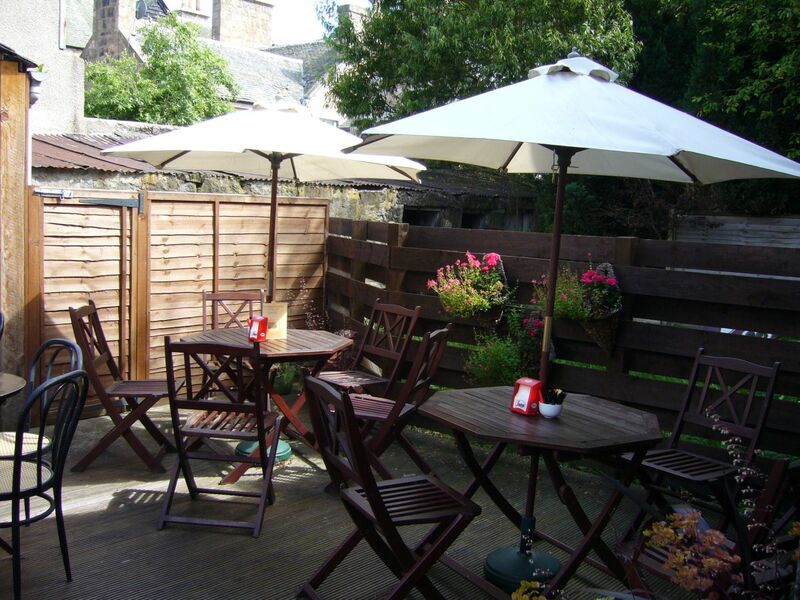 Brown Sugar Café is one of a number of Ballater businesses which will be back in business for the summer. This is extremely positive news to the area, as the aftermath flooding of Storm Frank meant that many homes and businesses had to be evacuated back in December. “To see another business on track to reopen in the next month is such a boost for the whole of Ballater. Everyone has worked extremely hard to ensure that the village remains open for residents, as well as the many tourists which visit throughout the year.